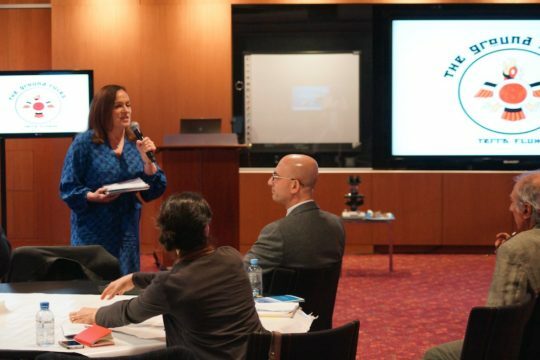 A one hour brainstorming session was staged with the Sustainable Urbanism New Directions’ speakers and guests from Qatar University and public and private bodies in Doha as part of the event to draw out a range of integrated propositions by participants for the research agenda for Doha, Qatar and the region. The session was moderated by Dr. Lucy Bullivant. Moderator Dr. Lucy Bullivant introducing the session, Brainstorming workshop during the Sustainable Urbanism New Directions Workshop, 21 March 2016. © Qatar University. 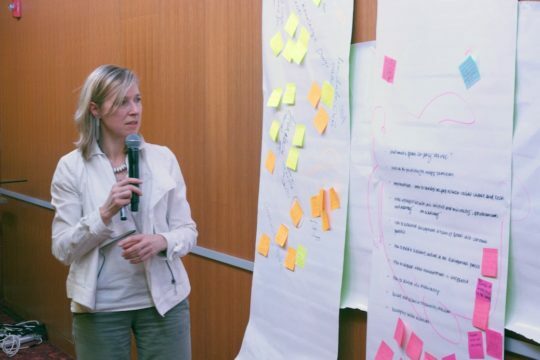 Johanna Gibbons presenting the results of her group’s discussions, Brainstorming workshop during the Sustainable Urbanism New Directions Workshop, 21 March 2016. © Qatar University. 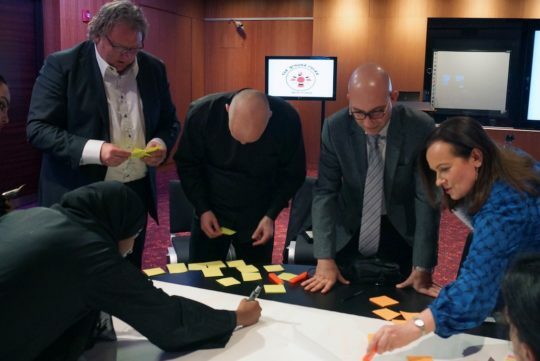 Dr. Abdelaziz Bouras and Dr. Patrizia Lombardi, Brainstorming workshop during the Sustainable Urbanism New Directions Workshop, 21 March 2016. © Qatar University. 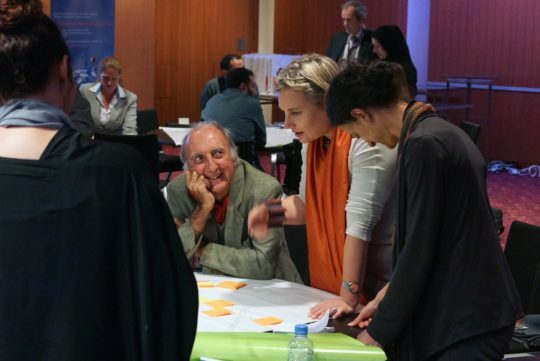 Dr. Rafael Pizarro and delegate from QEERI, Brainstorming workshop during the Sustainable Urbanism New Directions Workshop, 21 March 2016. © Qatar University. Johanna Gibbons and Sophie Hagan (MME), Brainstorming workshop during the Sustainable Urbanism New Directions Workshop, 21 March 2016. © Qatar University. 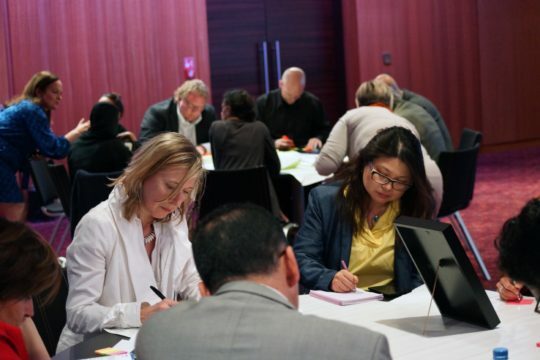 Delegates Paige Tantillo, Marcello Terzano and Katrin Scholz-Barth, Brainstorming workshop during the Sustainable Urbanism New Directions Workshop, 21 March 2016. © Qatar University. 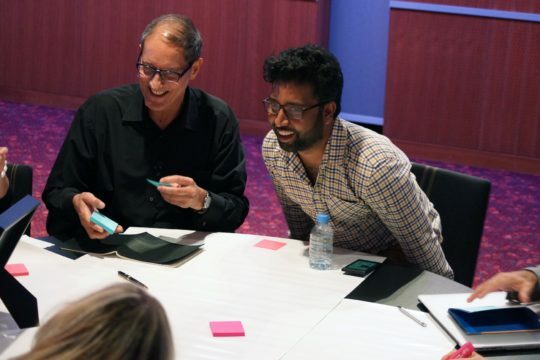 Dr Rafael Pizarro and Dr. Abdelaziz Bouras, Brainstorming workshop during the Sustainable Urbanism New Directions Workshop, 21 March 2016. © Qatar University. 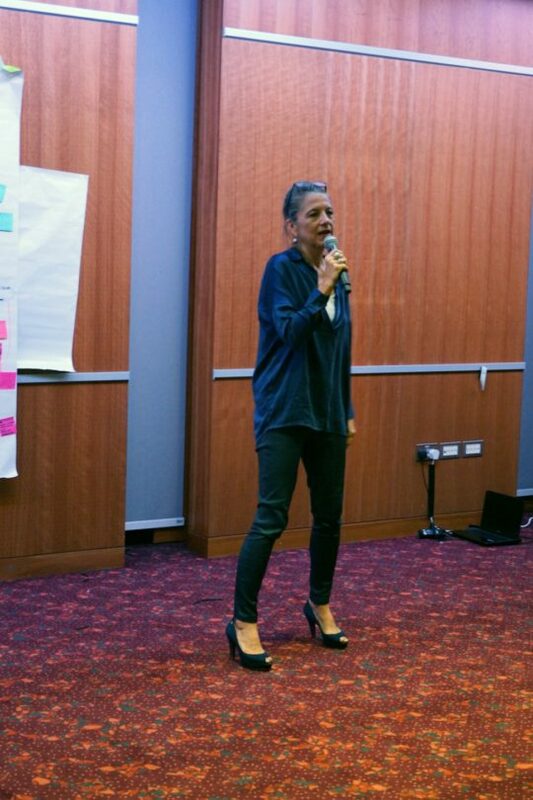 Dr. Anna Grichting, Brainstorming workshop during the Sustainable Urbanism New Directions Workshop, 21 March 2016. © Qatar University. What would a Qatari eco-legacy look like and what are the possibilities for energy transition. In implementation, how can we bridge the gap between social science and technology? Dr. 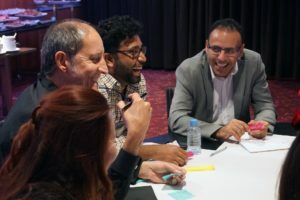 Rob Roggema (left) with his group, including moderator Dr. Lucy Bullivant, Brainstorming workshop during the Sustainable Urbanism New Directions Workshop, 21 March 2016. © Qatar University. Nature is the urbanist. Doha’s Biourbanism includes the Gulf, the ocean, water – and is a man-made oasis made with sweet and salt water. – alternative transportation means for children first (bikes, roller blades, skateboards), then for older age community members. – Bioclimatic buildings – low energy consumption.